The setting was picture-postcard perfect; the hero, bonafide royalty. Sabrina's worst fear was that she would wake up and discover it was all a dream. Duke--and Doctor--Marco Calvetti had almost run her off the road. Now Sabrina was playing houseguest in his Amalfi-coast villa. Marco's romantic words and skilled hands gave new meaning to the term bedside manner, but his brooding eyes hid secret wounds. . . or was it a secret agenda? 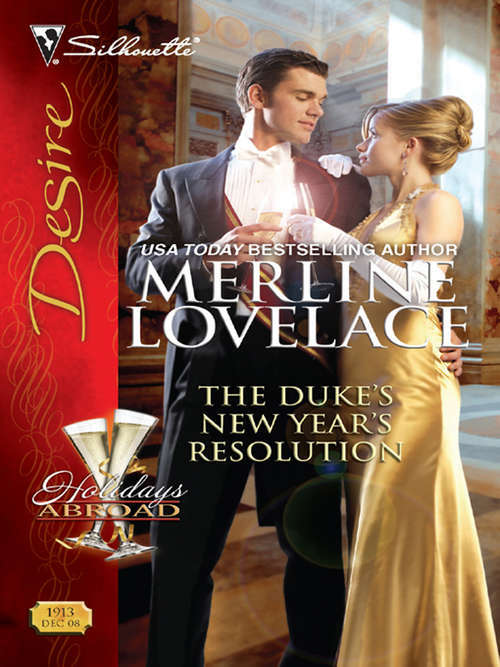 Either way, the duke promised her a New Year's she would never forget. . . .